UPDATE (May 4th): The class is now full! However all is not lost, if you are interested in taking the class. We’ll be offering the class again next year. Sign up for our mailing list to stay in the loop about our class announcements! We’ll also be putting the written material from the course on this site, for all to see. It will take several weeks for us to rework the material into something that makes sense for someone not participating in the class. To stay informed about when that material is ready to go, sign up for our mailing list! SciFund Challenge is offering yet another outreach training class for scientists! This one is all about learning to make short videos! Scientists, do you want to learn how to tell the public about your science through video? Do you want to have the skills to put together compelling short videos? But how do you get started with video? Join the SciFund Challenge community for our online course aimed at helping scientists get started with video. Over 5 weeks from mid-May to mid-June, we’ll demystify the business of communicating science through video. We’ll equip you with the tools and confidence you need to get started. Plus, at the end of the class, you’ll have completed a short video about your research (perfect for your website or YouTube). Our course is a little different than many online courses. This class, like all SciFund Challenge classes, is highly focused on collaboration between class participants. This connection by scientists across the globe and across disciplines makes our classes extremely engaging and allows participants to make rapid progress. It also makes our classes fun! Best of all, no prior experience with outreach or video production is expected for class participants. Beginners are encouraged to jump in. So what kind of videos do class participants create in our class? Great question! Here’s one example: a video created by Dr. Kristen Weiss, a participant in our class during its last go-round. To make videos, you’ll obviously need a video camera. To minimize costs for class participants, the video camera that participants will be using is a smartphone (as many people already own them and they are capable of capturing great video, under the right conditions). There are other things that course participants should know and will need (see below). Cost: 25 US dollars (but if cost is an issue, give us a buzz – e-mail at the bottom). The course fee is nonrefundable, with one exception. In the event that your course application is not accepted, your course fee will be refunded. Syllabus: Here is the syllabus for the previous version of this class. The content for this class will be similar. When: May 15 – June 18, 2016. Deadline for completing course application: May 14, 2016. Please note that our courses tend to max out early, so don’t wait to apply if you are interested. Decisions on applications will be done on a rolling basis. Elliot Lowndes, Wildlife videographer and photographer. Jai Ranganathan, Ph.D., SciFund Challenge. Anthony Salvagno, Ph.D., SciFund Challenge. Where: The Internet! This is an online course, but unlike many online courses, there is a strong focus on engaging with other class participants. Why? Learning outreach methods (like video creation) is in many ways like learning a foreign language. Learning a language is most effective when you have people with whom to practice and so is learning outreach techniques. The engagement in this class will take place mostly through Google+ and Google Hangouts. Who: Active scientists in any country in any discipline at any level (from graduate student to emeritus professor to government scientist to NGO scientist). This course is intended for scientists who are new to using video for outreach, but are interested in getting started with it. How the class works: each week, participants will be given new material to learn and a new assignment that has three parts: 1) a task to complete alone, 2) a task involving others in the class, and 3) participation in a group TA session that takes place via video conference call (Google Hangouts). The class will take place mostly through Google+ (in a private community that only class participants can see). In short, this class is highly collaborative! Other the TA sessions (which occur at specific times), the timing of class activities each week is highly flexible. Understanding of how to communicate their science in a manner that is compelling to a general audience. 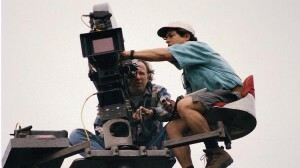 Basic comprehension of the key elements needed to make a short film, such as storyboarding, script writing, editing, and lighting. Confidence to get started with video outreach. Connection with an international and highly diverse group of scientists interested in outreach and video production. A short video about their research. Time that course participants should expect to spend on course: About 5 hours per week. Please note that this course is going to take time for participants. If you don’t expect that you will have the time, please don’t apply. Expected number of course participants: Maximum of 100.
have the recommended equipment on the equipment list (or if they have alternative equipment, be comfortable working with that gear on their own). have access to a computer with a webcam. have broadband access to the Internet (minimum connection speed: 1 mbps upload, 4 mbps download). have an e-mail address that can access Google+ (as much of the class will be administered through Google+). We recommend that you use a Gmail address and you can sign-up for a free account here. Some people have non-gmail e-mail accounts that are still administered via Google – not all of these accounts can access Google+. If you are providing a non-gmail address, please double check your Google+ access. Required equipment. Assuming that you already have access to a video recording device and to a computer for video editing, the additional equipment to purchase will cost about 85-100 US dollars, if you go with our recommendations. Please don’t buy anything until you have received an email accepting you into the class. Video recording device. Smartphones can capture great video and, considering that lots of us are walking around with one, this class will be based around it. The key requirement is to have a recording device that can capture video at a resolution of at least 720p (1080p preferred). Here are the options. We recommend the use of an Apple device for this class. The reason is that, since the hardware and software on Apple devices is pretty standardized, we will be able to provide detailed instructions for them in this class. iPad (iPad 2 or newer, any model of iPad Air or iPad mini). If you don’t have access to an Apple device, an Android device will work too (running KitKat or later). As there is a tremendous range in the software and hardware associated with Android devices, the kind of instructions we can provide will not be as specific. As a result, if you plan on using an Android device, you’ll need to do a little more leg work. Case in point, for this class, you will need to ensure that your Android device has: 1) the capacity to record video in HD and 2) the capacity to record audio with an external microphone that is plugged into the Android device. For this class, a stand alone digital camcorder or camera will work as well. However, as with Android, this is not the preferred approach since we will likely not be able to provide specific guidance. If you want to go this way, ensure that the device has: 1) the capacity to record video in HD and 2) the capacity to record audio with an external microphone that is plugged in. Video editing software. We will be providing guidance for two editing programs – so please use one of these. For either of these programs, check to ensure that your computer meets the suggested hardware recommendations for the software (attempting video editing on a slow computer is an incredibly frustrating task). Here are the options. iMovie for Mac (version 10). This is the preferred editing software for this class. iMovie for Mac is only available for Macs and comes preinstalled on those computers. HitFilm 3 Express. This video editing program is available for both Macs and Windows computers and is also free (certain add-on packs that we won’t be using and that you are unlikely to need are not free). You can download the software here. Please note that, during the download process, the website makes it seem that you need to mention HitFilm 3 Express on social media. You can skip this step – no social media mentions are actually needed to download the program. iMovie for iOS (version 2). iMovie is also preinstalled on iPhones and iPads. We won’t be providing specific advice for the iOS version of the software, but it is pretty similar to iMovie for Mac. Though some previous participants in the class have used it, we don’t think it is the best way to go, due to the severe memory limitations on most iOS devices. If you choose to go this way, definitely use an iPad due to the larger screen size. External microphone. Though smartphones have built-in microphones, you wouldn’t want to use them for recording video. Instead, you’ll want to use a microphone that plugs into your smartphone. Here are the options. We recommend the Giant Squid lapel microphone (on the page, you want the “Omnidirectional Mono Microphone” for $40). Although there are cheaper microphone options out there, we found the Giant Squid lapel mic to be reliable and very good value for the money. This microphone is not specific to smartphones, so if you graduate to other cameras in the future, the Giant Squid can continue to serve you. The microphone is also available on Amazon, but it costs a bit more there (though it will likely arrive quicker). Some other external microphone. It is possible to use another external microphone in this class, but we may not be able to provide you guidance on how to use it. Audio adapter. Many smartphones do not accept standard audio inputs, so you will need to use an adapter for the microphone to work. Here are the options. For an iPhone or an iPad, we recommend the MyMyk adapter. For any other video recording device, you will need to investigate on your own whether an adapter is needed. Remember that, even if this other device has an input jack, it may still need an adapter. Extension audio cable. As the cable that comes with most microphones is short, you will need at least ten feet of extension cable in order to be an appropriate distance from your camera. Here is the cable we recommend. If you don’t use the Giant Squid microphone that we recommend, you will need to double check that this cable is compatible with your microphone. Tripod. This is essential for framing your video successfully. We recommend the Joby Gorrillapod, an affordable tripod designed for smartphones. Our class is based upon students engaging with each other in many ways during the course. As a result, the identity of every class participant will be known by all other participants. You won’t be able to take this class anonymously or with a pseudonym. Other questions? Contact Jai Ranganathan (jai@scifund.org). Previous FREE outreach training class for scientists is back!